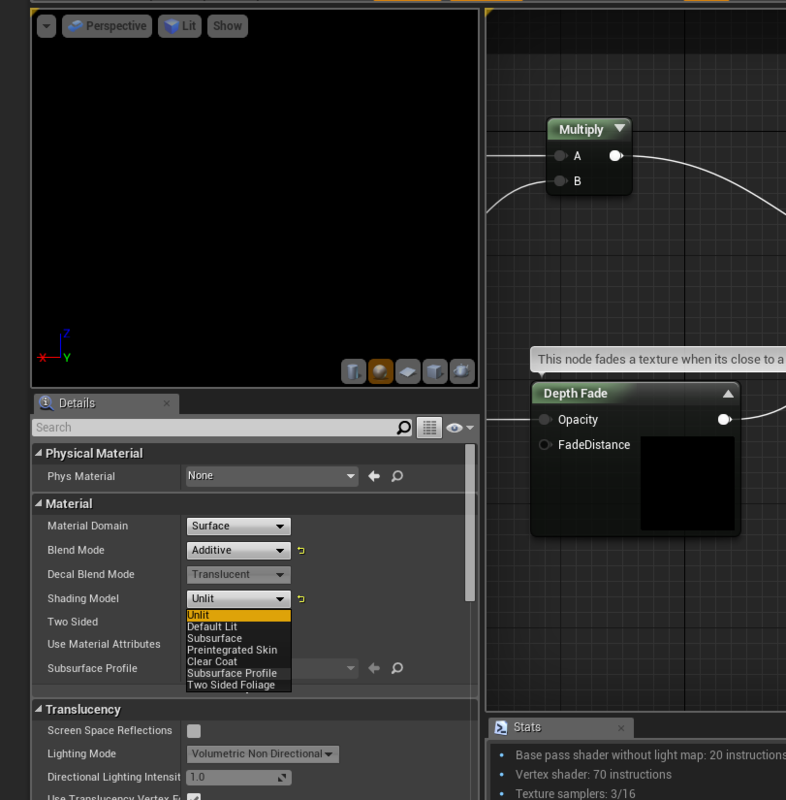 I am using UE4 for my assignment at University. I have created a plant mesh in blender, UV mapped it and have exported it to UE4, everything works fine here. In my model I used planes with a leaf texture on them, the problem I am having is getting the transparent part of the texture to not render. You need a black/white mask texture either in the alpha channel of the leaf texture or as a seperate texture and use that for opacity mask. Also, for leafs you will want to use the "two sided foliage" shading model. Luos is absolutely correct. If you are using a mask make sure that your materials Blend Mode is set to masked. That way you are able to access the Opacity Mask tab of your material. Either you black and white image, set to greyscale, or your alpha channel will be plugged into that input.